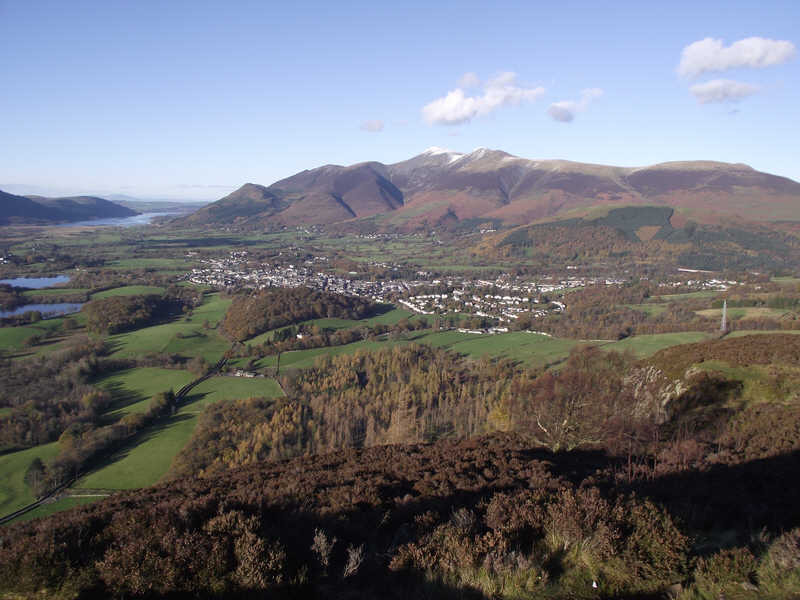 Keswick seen from Lady's Rake, the viewpoint at the top of Walla Crag, with Skiddaw dominant in the background. A tiny corner of Derwent Water can been seen to the left, with Bassenthwaite seen in full length above it. The faintly visible mountain on the skyline above Bassenthwaite is actually in Scotland.